This may or may not surprise you, but about 50% of my beauty-related internet browsing has to do with foundations, BB creams, and CC creams. For whatever reason I have a really hard time finding base makeup that both matches my skintone and has an appealing texture... but I haven't given up yet! When I see something that's affordable and looks like it might be a winner, I try it. 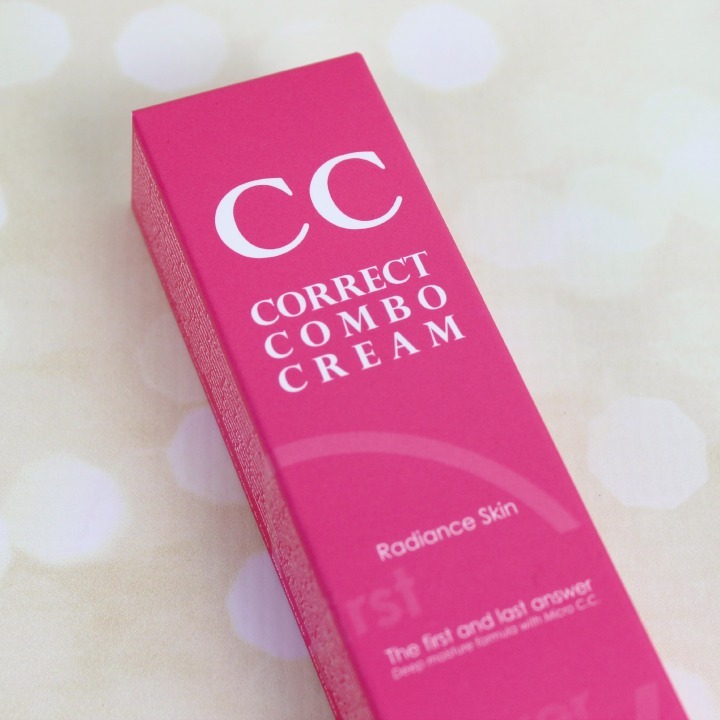 Today I'll be taking a look at Mizon Correct Combo Pink Radiance CC Cream—not a brand new product, but I haven't seen too many reviews of it in English, so I figured I'd give it a shot. Some kindly soul already uploaded the ingredients list to CosDNA, which did flag a couple of ingredients as minor possible acne triggers. You can check it out for yourself if you're curious, but I'm going to tell you right now that I don't think this CC cream is really appropriate for oily or acne-prone skin at all anyway—more on that in a bit. If you don't want to click through to CosDNA, you should know that this CC cream is SPF25 PA++ (in the form of Octinoxate and Titanium Dioxide). Not the most impressive SPF stats, but better than nothing. Mizon lists a full retail price of 28,000원 (~$25.24 USD) for 35g on their official website, but it seems to sell for a lot less than that on other websites. ibuybeauti has it for $17.46 USD (with free shipping on orders over $50). 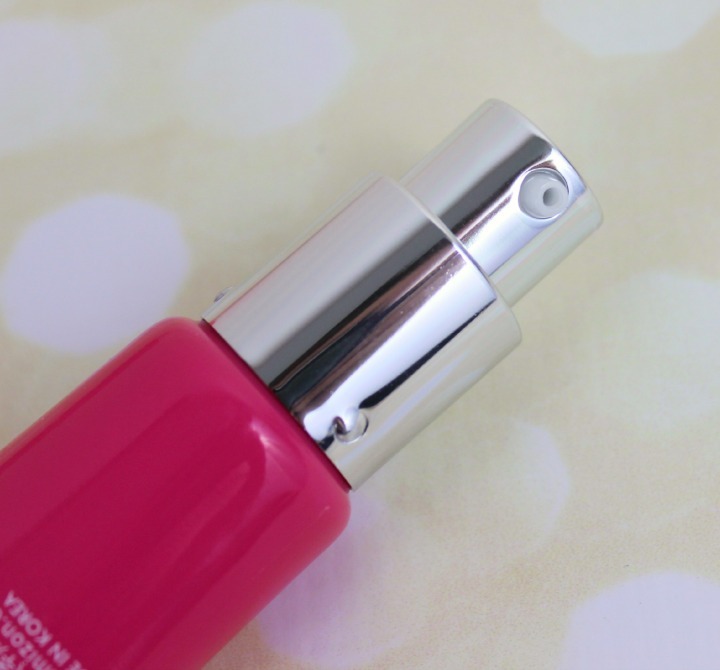 The product is housed in a long, slender pink tube with a pump and plastic cap. Nothing too fancy to look at, but it scores 100% in terms of functionality. 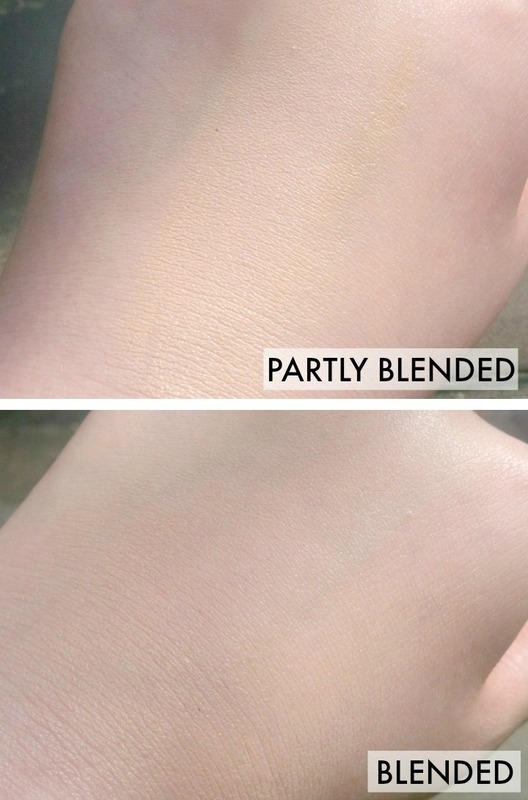 As you can see, the cream has a slightly yellow undertone to it. That's not exactly what I expected given the pink tube and talk of pink color capsules, but since this is a lighter coverage cream, the effect is pretty subtle. In any case, this is definitely one for the pale folk—I think it might look odd on anyone darker than N20. Ignore my crazy eyebrows—I had this wild idea that they might magically grow in to be super full if I left them alone for a while. (Strangely enough, it didn't work.) Anyway, I think this cream delivers on its promise of delivering radiance—my skintone looks brighter, and the cream has evened out a little of the redness on my cheeks. It has a dewy finish that isn't disco ball glittery, which is nice. With all that said, I really think this cream is best suited to people with normal to dry skin. The formula is pretty moist-feeling and hydrating without being too greasy, which is great if you usually have issues with base makeup clinging to dry spots on your face, but it has a tendency to slide around and settle into fine lines on oilier parts of the face. (I say this as someone who has combo skin, so I experienced both the hydrating and the sliding.) In that regard, it also doesn't have amazing lasting power—if you sweat, it's going to fade. If you have oily skin, it's going to fade. And so on. Other considerations: This stuff is definitely scented. I'm not sure what it's supposed to smell like, but I think it smells kind of like artificial peaches. Peaches with a dollop of green tea and perfume mixed in, anyway. Overall, I think this is a decent CC cream, and I could see myself reaching for it often in the winter when my skin gets painfully dehydrated. But in the sweaty, nasty summer... nope. It's a bit too moist and short-lived for me. But if you have naturally dry or balanced skin year-round and live in a climate that's currently cold, you may just love it. For more information and to purchase this CC cream, visit ibuybeauti. 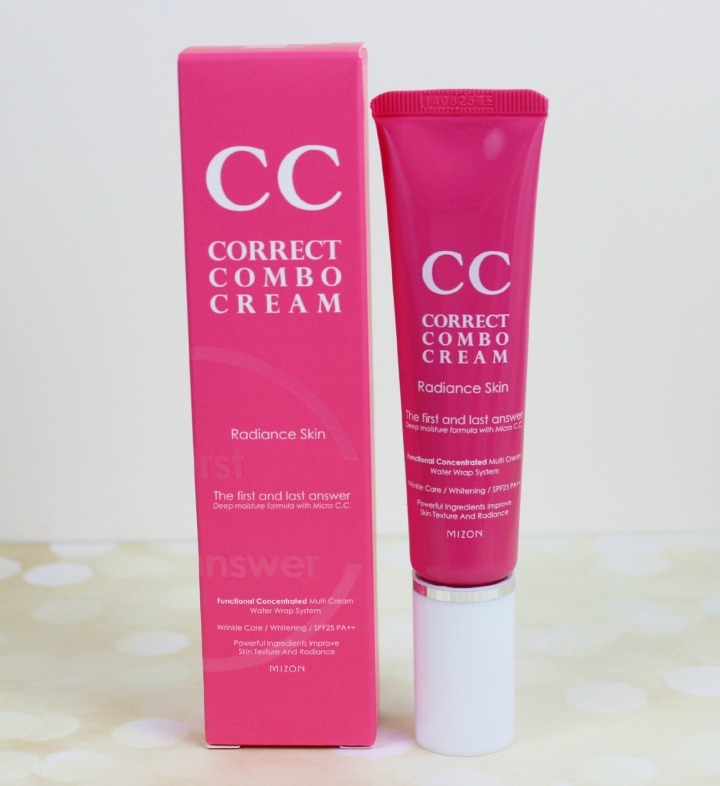 What do you think of Mizon Correct Combo Pink Radiance CC Cream? Do you prefer lighter makeup coverage in the summer? Disclosure: The product featured in this post was provided to me by ibuybeauti for review purposes, however any opinions expressed above are honest and my own. I did not receive any other form of compensation. This post contains affiliate links. For more information, check out my full disclosure policy. Yay! Another pale, green eye'd gal :) Whomp!! Yeah, definitely. I don't mind lighter coverage creams when my skin is behaving, but they need to stay put! I never did take a closer look at Mizons makeup products since most of their producta which gain attention are skincare ones. Nevertheless I think despite the yrllow undertone it looks great on your skin and gives a natural finish. I really like bb and cc creams and light coverage products. Sadly, this would never work for me because my skin can get oily. It looks nice on you! Same here! 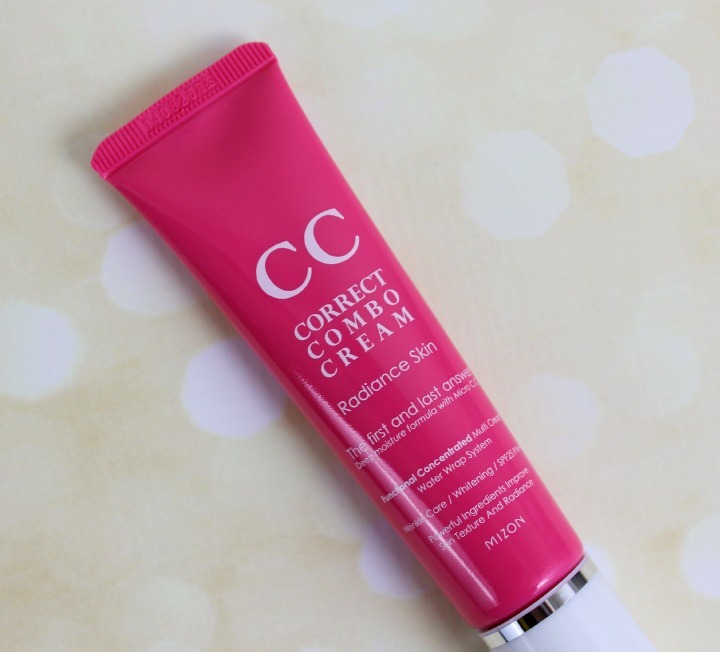 I feel like this CC cream is sort of a makeup/skincare hybrid though. I mean it's obviously makeup because it's tinted, but it seems like they've paid a lot of attention to using hydrating ingredients. Me too. I don't think I can really use this in the summer either - but it will be excellent for winter! The best CC cream I've tried so far in terms of coverage was the A-True Black Tea cushion. It's still on the lighter end of the coverage spectrum though. 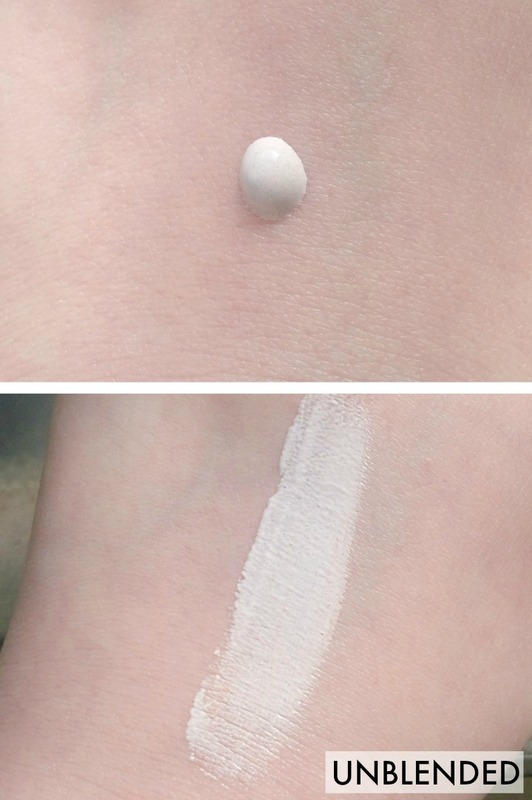 I think if you want coverage, CC creams in general probably aren't the right product for you!